Kayley Johnson attended MCTC where she acquired a certificate in Apparel Technology. She transferred to Stout and studied in London through their apparel program. “Singularity” is a take on futuristic fashion, inspired by mecha armor and the neon city lights. 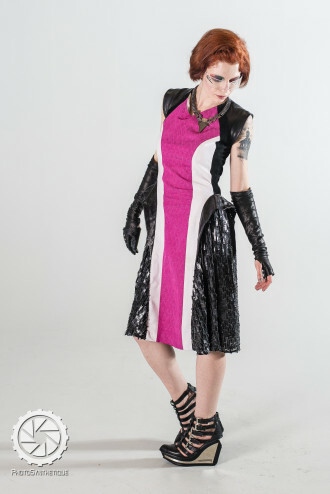 You can see images from “Singularity” at Full Fashion Panic here, and you can also see images from the shoot I did with Kayley taken in April here.